I like that. I'm not sure how I could do the box-art thumbnails legally, though. I definitely couldn't include them in the app (I'd be banned from the Market for copyright infringement, and potentially sued by Nintendo and other copyright holders). Maybe I could download them from somewhere when there is an internet connection (the assumption being that the user has a right to the game if they have it on their phone, to include the box-art). It is definitely a legal grey area I'm not sure I want to enter. Definitely grey although their are apps that are doing similar things on the android market atm for cd covers and have been up for years. I'd like to know if they've found a loophole. 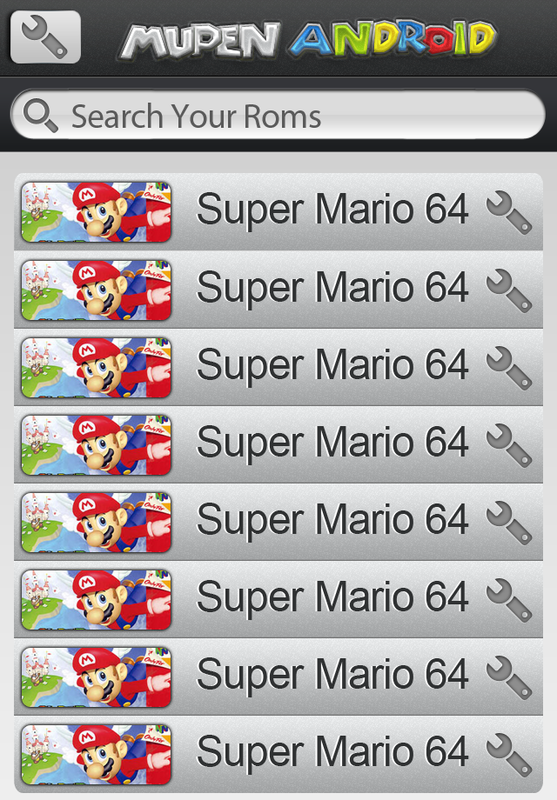 To avoid any grey areas, you could add the feature of thumbnails which is just pointing to a folder, say at: /sdcard/Android/data/paulscode.android.mupen64plus/thumbs/, and users can add their own images (for the games that they own...). Have a default image included, that displays if no thumbnail is available. I'm just throwing ideas here. 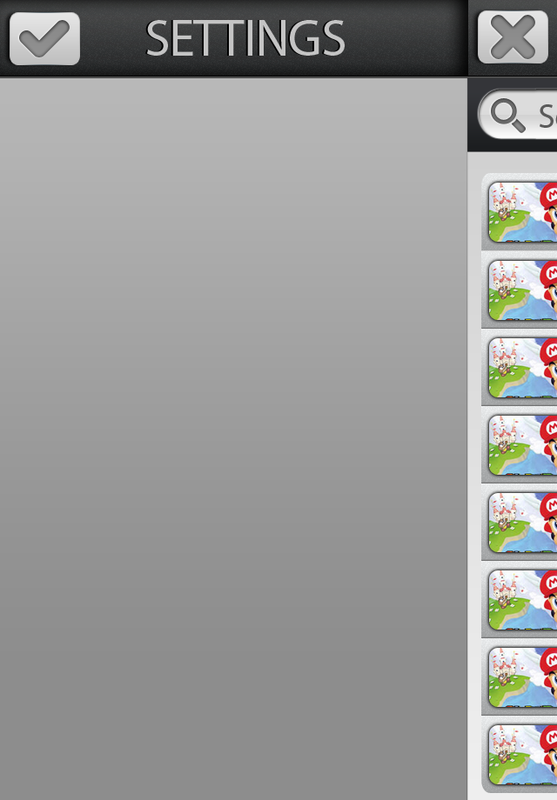 Wouldn't be better that thumbnails show lastest saved location of game instead? Though, I wouldn't rather suggest adding thumbnails at all, it's not really required IMO. More of a 'nice to have'. looks tasty tho. would this allow others to create front ends too? Yes. This would apply not just to the front-end but all the plug-ins. I plan to write a simple Java-side API that goes hand-in-hand with the Mupen64Plus 2.0 native API, for definining settings to be used by the front-end. This will be documented and could be used by anyone to write front-ends that automagically know what settings go with every plug-in (including custom plug-ins that folks may write in the future). It opens up new potential for tallented folks want to use their skills to make some money, or who just aren't into the concept of open-source (like Jabo, for example). It's still in the concept phase, though.. probably will be a while before it is a reality. In the mean time I need to get the emulator running faster and with better game compatibility. This could be done the same way that the old tiger emulators did where it shows a screenshot of your latest save state next to the game. That way you would have images next to the games and there wouldn't be any legal issues including them with your app (because you wont).